DESCRIPTION: (from Goodreads): Sierra Santiago was looking forward to a fun summer of making art, hanging out with her friends, and skating around Brooklyn. But then a weird zombie guy crashes the first party of the season. Sierra’s near-comatose abuelo begins to say “No importa” over and over. And when the graffiti murals in Bed-Stuy start to weep…. Well, something stranger than the usual New York mayhem is going on. Sierra soon discovers a supernatural order called the Shadowshapers, who connect with spirits via paintings, music, and stories. Her grandfather once shared the order’s secrets with an anthropologist, Dr. Jonathan Wick, who turned the Caribbean magic to his own foul ends. Now Wick wants to become the ultimate Shadowshaper by killing all the others, one by one. With the help of her friends and the hot graffiti artist Robbie, Sierra must dodge Wick’s supernatural creations, harness her own Shadowshaping abilities, and save her family’s past, present, and future. Shadowshaper releases June 30, 2015. MY TWO CENTS: Sierra Santiago is one of my new favorite heroines. She makes plans and follows through, is clear-eyed about the shortcomings of people she loves and takes charge with attitude. As Sierra follows her grandfather’s direction to find Robbie and fix the murals in her neighborhood, more and more secrets keep coming to light and she discovers an entire spirit world that has been hidden to her, but to which she is strongly connected. Older weaves in many great discussion points among the action and supernatural fighting, including colorism, gender expectations, ethics (or lack thereof) in anthropology and handling difficult family members. The Brooklyn setting and Sierra’s group of friends add realism and humor to the story, making this fresh, exciting adventure a must read for YA fans. TEACHING TIPS: There are many different ways this title could fit into the classroom. The themes of appropriation and anthropology would fit nicely into a history or sociology classroom. Librarians will want to recommend this to teens who love fantasy or adventure stories with urban settings. Art teachers could also add this title to a list of books involving murals and large scale public art projects, as well as discuss the tradition of honoring the dead in art or have students design their own murals. ABOUT THE AUTHOR: Daniel José Older is the author of the Bone Street Rumba urban fantasy series, which began in January 2015 with Half-Resurrection Blues from Penguin’s Roc imprint. Publishers Weekly hailed him as a “rising star of the genre” after the publication of his debut ghost noir collection, Salsa Nocturna. He co-edited the anthology Long Hidden: Speculative Fiction from the Margins of History and guest edited the music issue of Crossed Genres. His short stories and essays have appeared in Tor.com, Salon, BuzzFeed, the New Haven Review, PANK, Apex and Strange Horizons and the anthologies Subversion and Mothership: Tales Of Afrofuturism And Beyond. Daniel’s band Ghost Star gigs regularly around New York and he facilitates workshops on storytelling from an anti-oppressive power analysis. 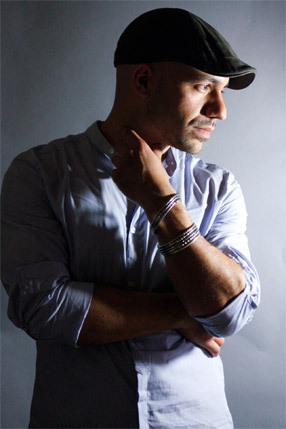 You can find his thoughts on writing, read dispatches from his decade-long career as a NYC paramedic and hear his music at ghoststar.net/ and @djolder on twitter. 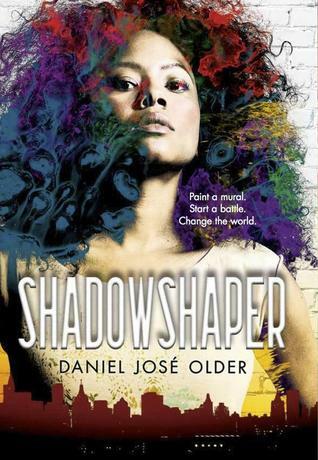 FOR MORE INFORMATION ABOUT Shadowshaper, visit your local library or bookstore. Also, check out WorldCat.org, IndieBound.org, Goodreads, Amazon, and Barnes & Noble.